U wish you a not too hot Tuesday summer morning! Icon, mother, cover girl. As well as the undisputed queen of world music for over three decades. 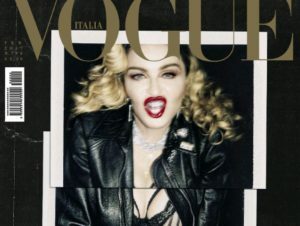 A few days after her 60th birthday (it’s August 16th), Madonna gives her a new cover on Vogue Italia and an exclusive interview , where she tells about a new life in Portugal with her children, of the Raising Malawi foundation and an album in output by the end of the year. Which, of course, has already made fans crazy on any social network. Nothing strange, certainly, for one that dominates the entertainment industry since the eighties, including dance, cinema, fashion and, of course, music. After 13 albums (the last one is Rebel Heart of 2015) Miss Ciccone has not lost the energy, nor the passion . Rather. Continue to write, sing, produce. And she has no intention of leaving his superstar scepter. After all, we’re talking about Madonna, are not we? Here, in fact. We, like everyone, can not wait to listen to the highly anticipated record coming, but, waiting, we have selected some of the most beautiful songs from a rich discography . 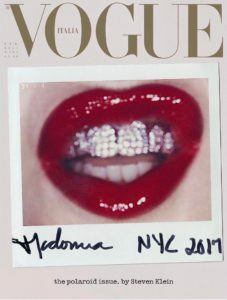 To celebrate it, but also to remind the world how much we owe it (starting with Holiday , passing through Material Girl and True Blue , to get to Vogue , Music and Hung Up ). By the way: thank you for every song, Madonna. And here’s a special bonus track today! This song from 1976 explains without any additional words why I write this blog every day in the very early morning. And it explains as well, why you follow up. I wish you a happy Tuesday and come back very soon with the next fashion & music story.